The concept of Heart Valve Bank (HVB) was presented on 23rd November 2002 and it was formally established just a month later on 28th December 2002 under a charitable trust deed. The original stated objectives were “to provide funds to meet the requirements of mechanical heart valves for patients at the Sri Sathya Sai Institute of Higher Medical Sciences in Puttaparthi and at Whitefield near Bangalore in India. In addition provisions were made to fulfill the needs of any other hospitals established by Sri Sathya Sai Central Trust in future”. The expansion of HVB was very rapid and it became apparent that there were other disease areas affecting the deprived populations being served by HVB which needed attention and which could not be ignored. These were, for example, leprosy, malaria and TB. 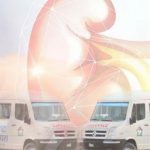 It was therefore decided to formally register HVB with the Charities Commissioners on 17th June 2003 and the objectives were widened to cover relief of sickness and financial hardship, in regions of need worldwide, through the provision of medical equipment, medicines and related services. 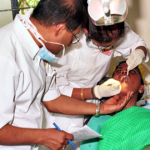 2003 – The first medical and dental camp was conducted in August 2003. The team of doctors, nurses and medical assistants worked tirelessly to treat over 600 patients. Annual participation in Gram Seva (see projects section) commenced. 2004 – A second medical camp was conducted in July 2004 and treated over 2,700 patients. Free medication was also provided. 2005 – Carewell Medical Centre inaugurated in Nigeria for leprosy, malaria and TB. This was then taken over at local level. 2006 – HVB arranged a patient from Africa suffering from a very complicated heart valve failure to obtain treatment at the Sri Sathya Institute of Higher Medical Sciences in Bangalore. 2007 – A program of “Love in Action” was launched to entertain and uplift the spirits of residents at care homes and similar organisations in United Kingdom. The first visit was top New Wycliffe Home for blind in Leicester. 2009 – Assistance was extended to Ethandewi Sai Children’s home in Zimbabwe and a medical camp in Malawi. 2010 – A primary health care clinic was inaugurated in Potapalli a small village in India.